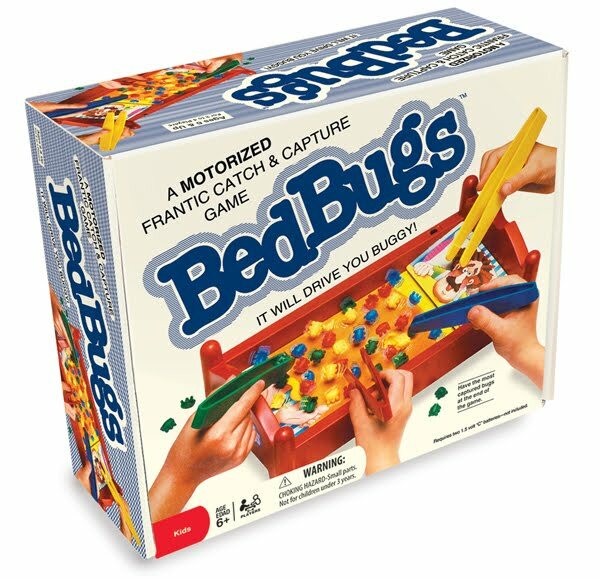 Bed Bugs is a vintage game from 1958 that is motorized and requires you to use tongs to pull bugs out of a bed. Sounds easy, right? Not so much because the bed is motorized (2 “C” batteries required) and makes the plastic bugs jump all around. 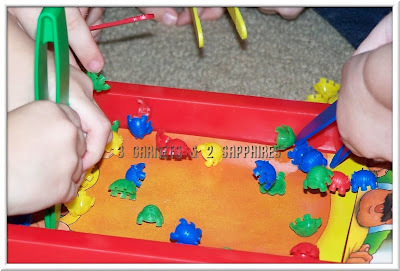 The game premise is pretty simple: whoever catches the most bugs of the specified color with their tongs wins the round. Playing it is a blast, though. Everyone starts catching the bugs at the same time, so it’s a frenzy of action from start to finish. It gets you laughing as you try your hardest to beat your opponents and not get too anxious from excitement and jittering. 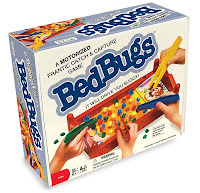 The Bed Bugs game is designated for ages six and up, but even the 3 year olds here loved it. I think the age limit is set simply because the bugs are a choking hazard for small children, so supervision is required for children under six. The younger kids had a harder time using the tongs than the older ones, so dexterity of younger children would affect their play, but they had fun nonetheless. You can purchase Bed Bugs at most major toy retailers and online at PatchProducts.com . It retails for $14.99 and is worth every penny. Patch Products, the maker of Bed Bugs, also makes 3D puzzles and other types of puzzles for kids, kids coloring books, science toys, and more. Thank you to Patch Products for sending us a complimentary sample product to base this review upon and for providing a second product as our contest prize. 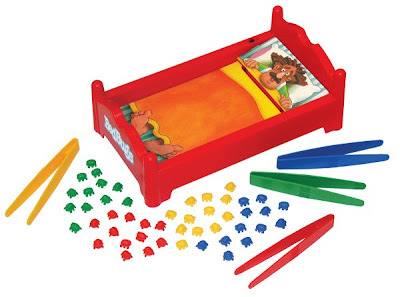 One lucky reader will receive a Bed Bugs game of their very own. Browse the selection of children's toys offered on PatchProduct.com . 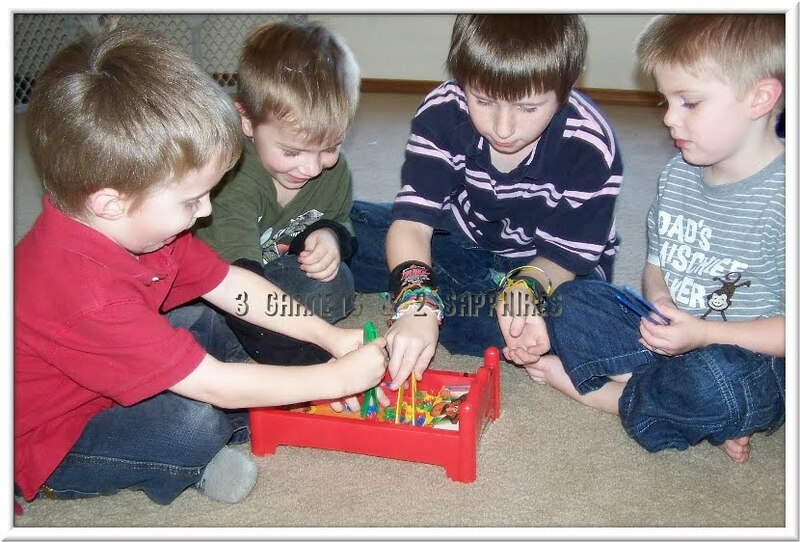 Then leave a comment telling me the name of the toys that is your favorite. You MUST do this to be eligible to win this contest. 3) For 10 extra entries, register for the Patch Pals Club. Then come back here and leave TEN separate comments telling me you did so. 5) For 1 extra entry each, follow Patch Products on Twitter and/or "Like" Patch Products on Facebook. Then leave a separate comment for each with the link to your Twitter or Facebook profile.